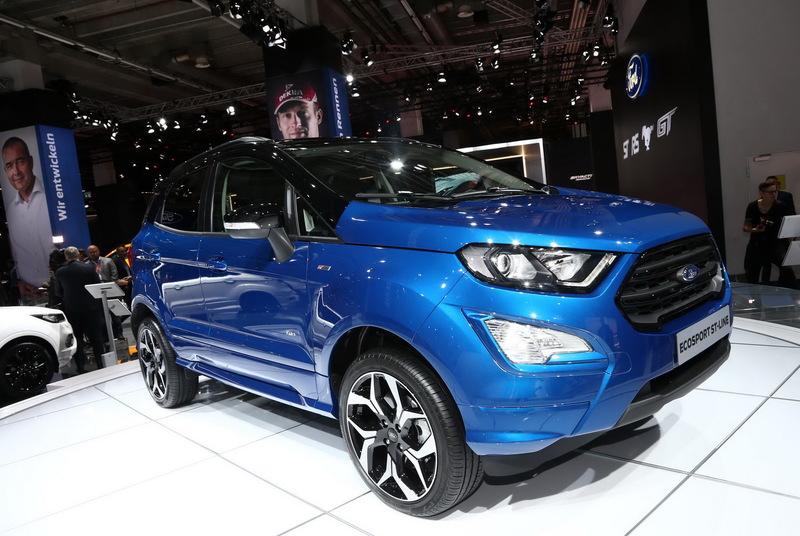 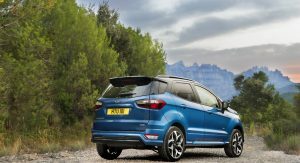 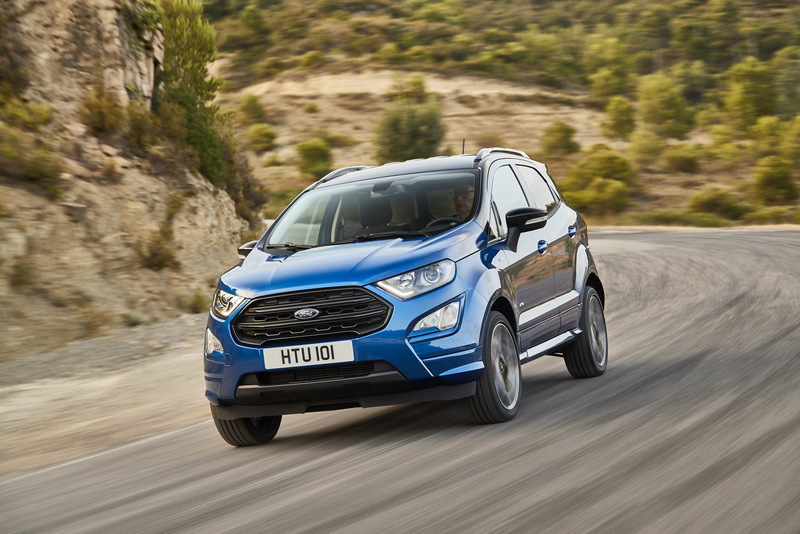 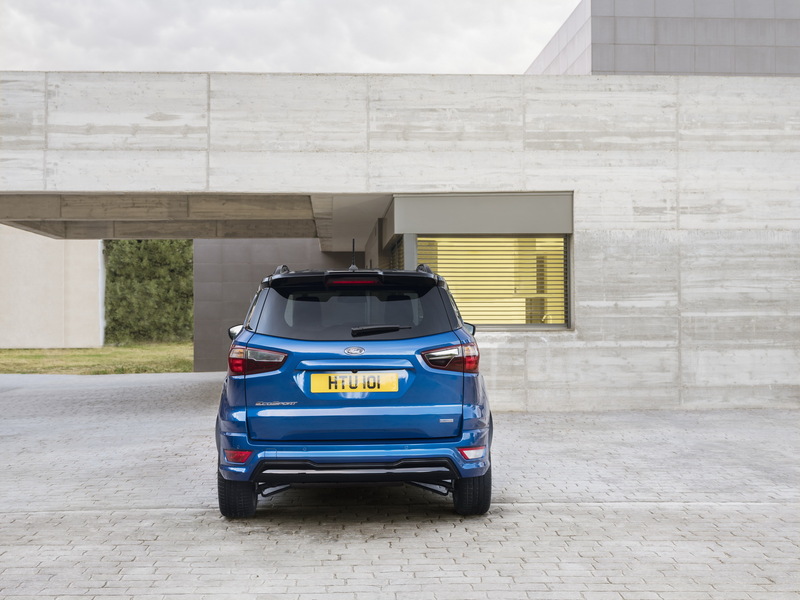 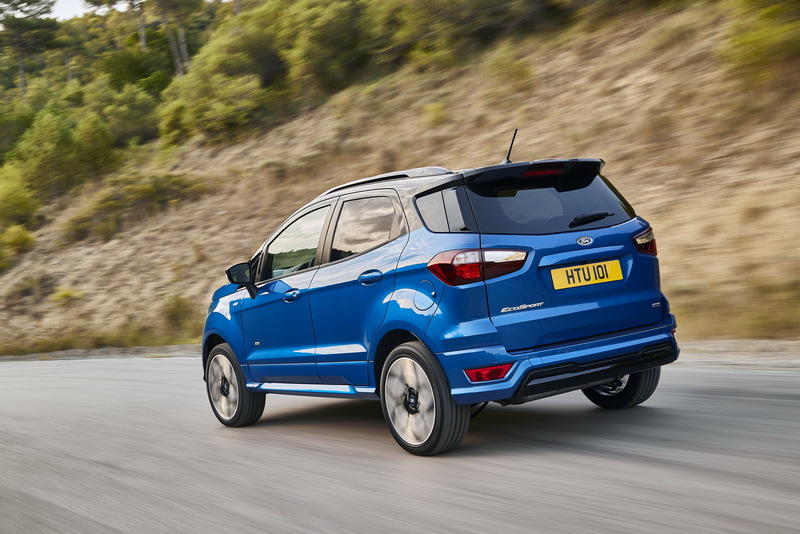 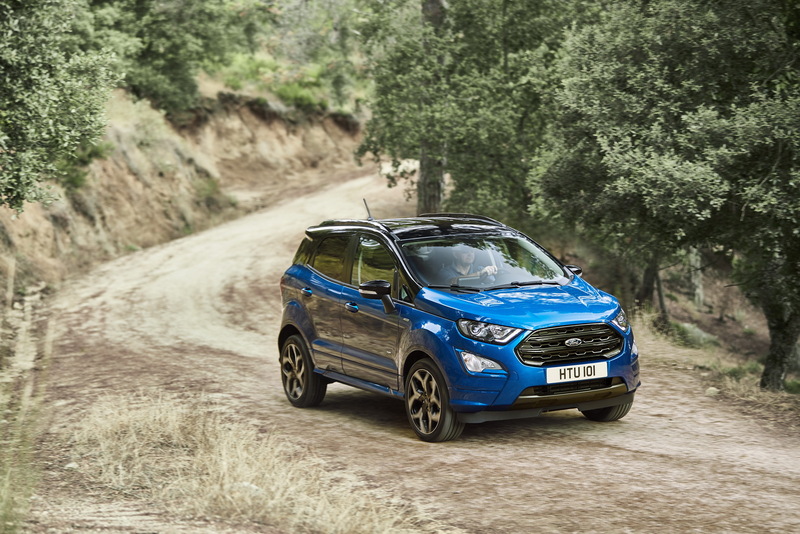 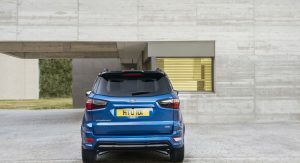 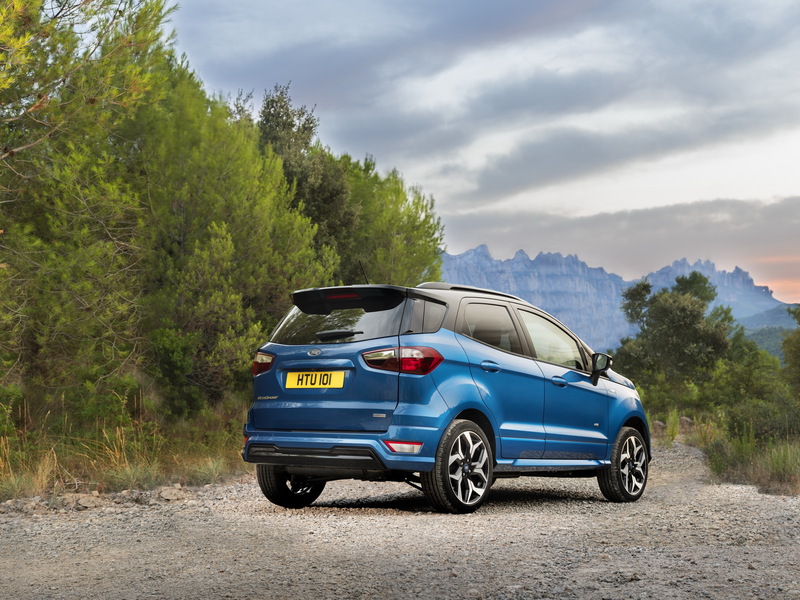 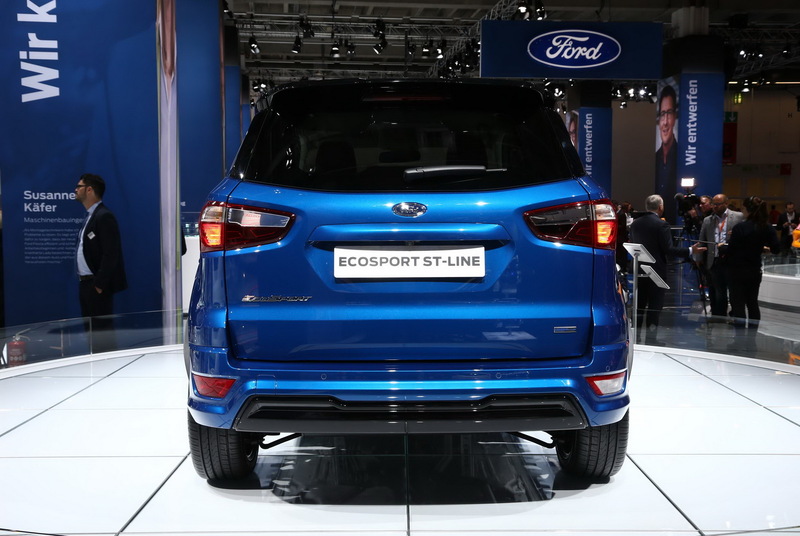 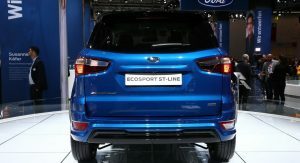 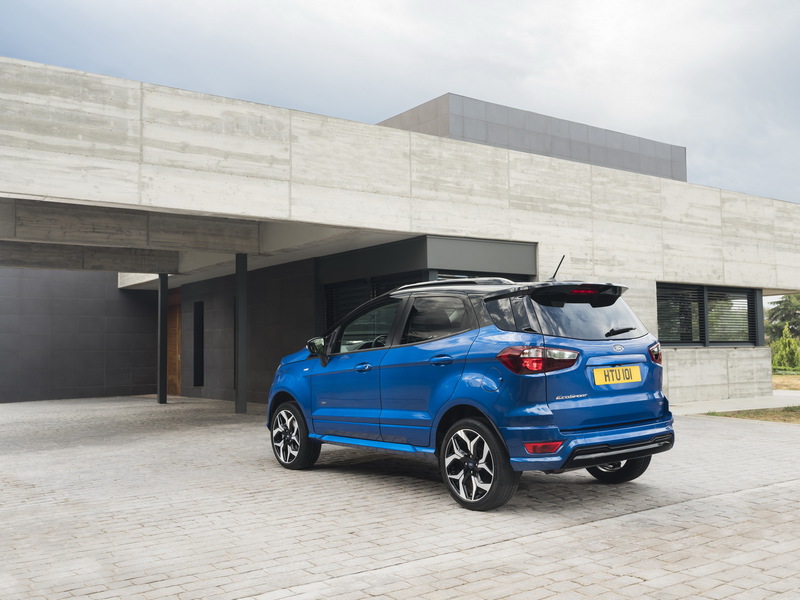 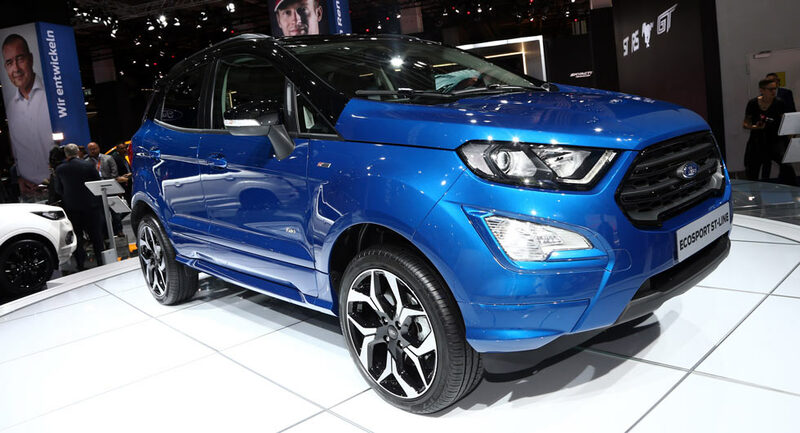 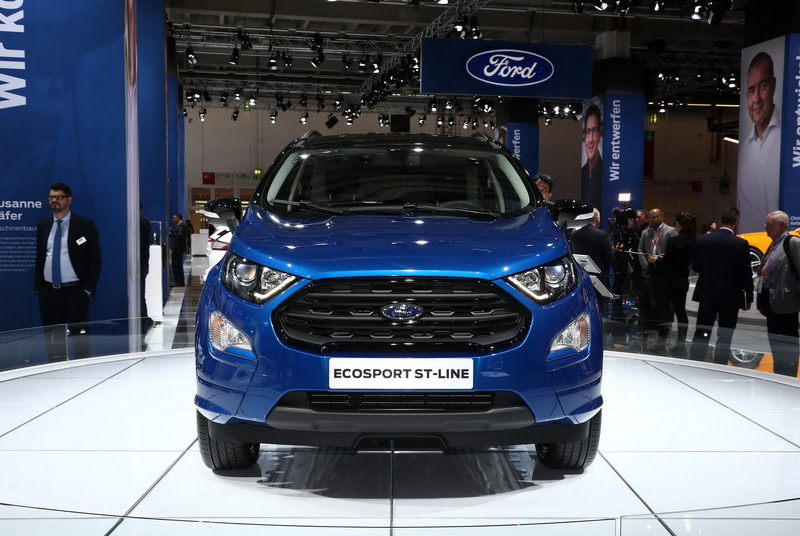 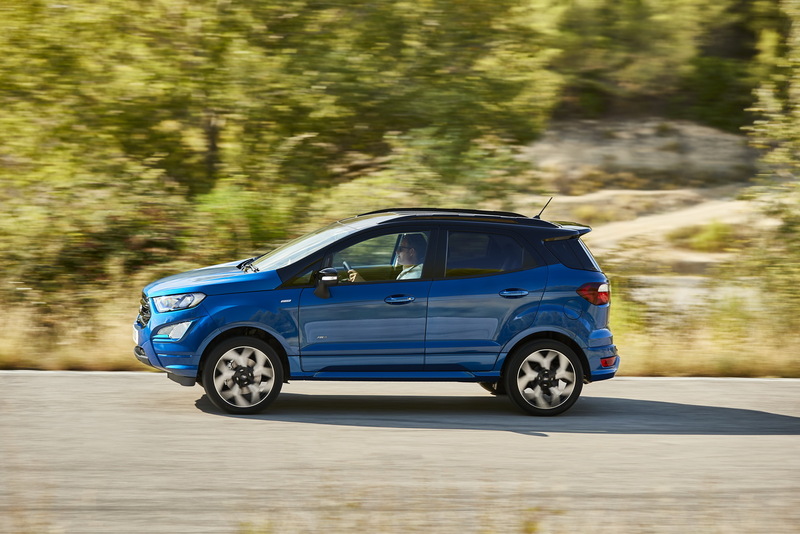 It took Ford some 4 years to facelift the second generation EcoSport, only to bill it as an entirely new model. 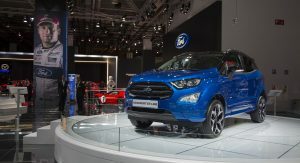 Show in Frankfurt, it continues to challenge the Nissan Juke, and others in the subcompact-SUV segment. 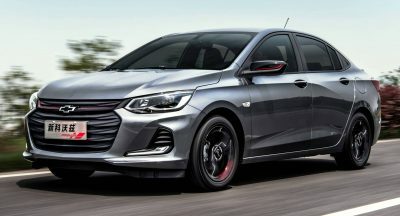 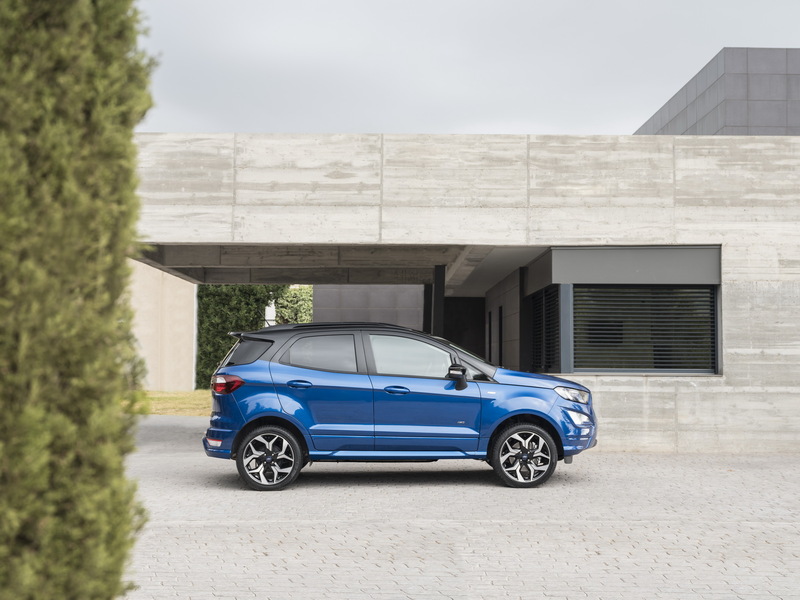 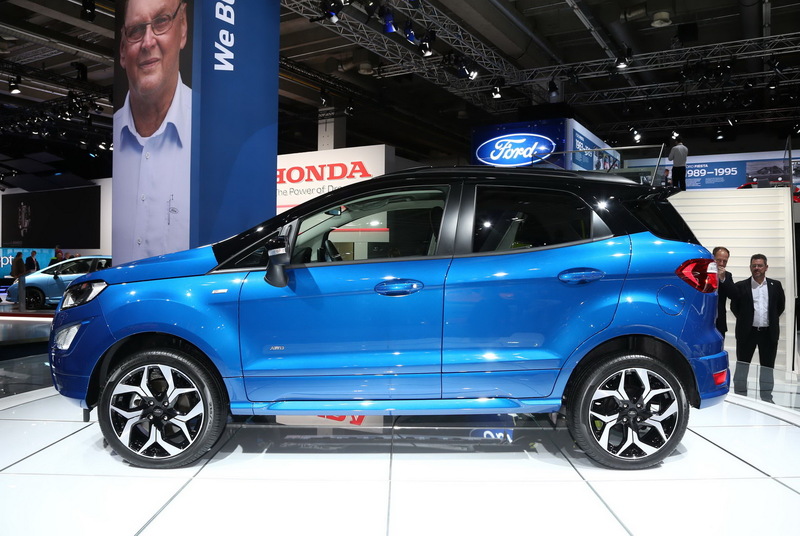 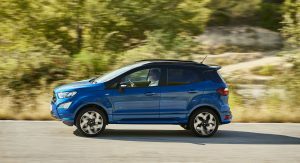 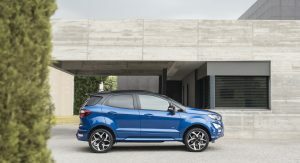 It builds upon its upcoming North American sibling, and comes with a more refined front end, a redesigned cabin inspired by the new Fiesta, and an ST-Line sporty flavor. 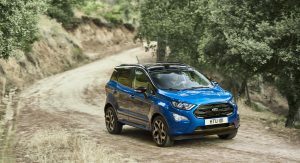 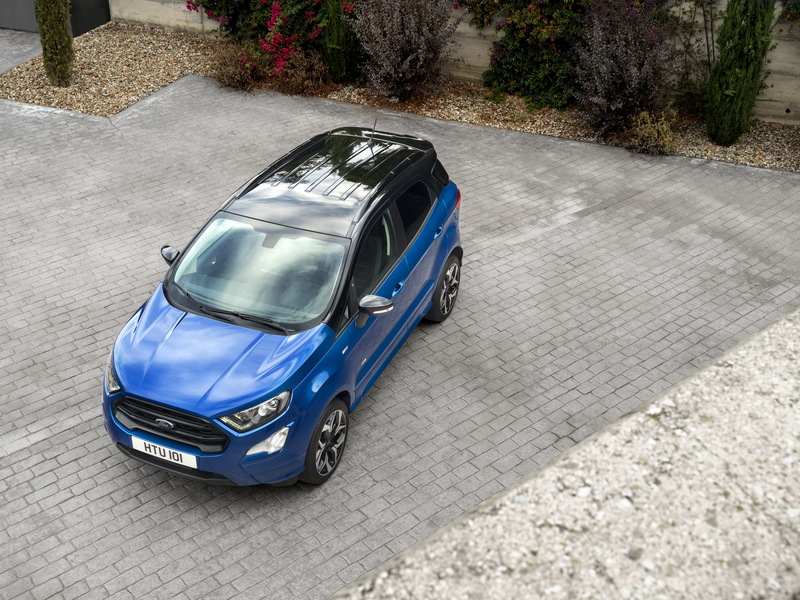 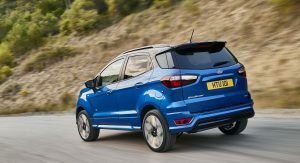 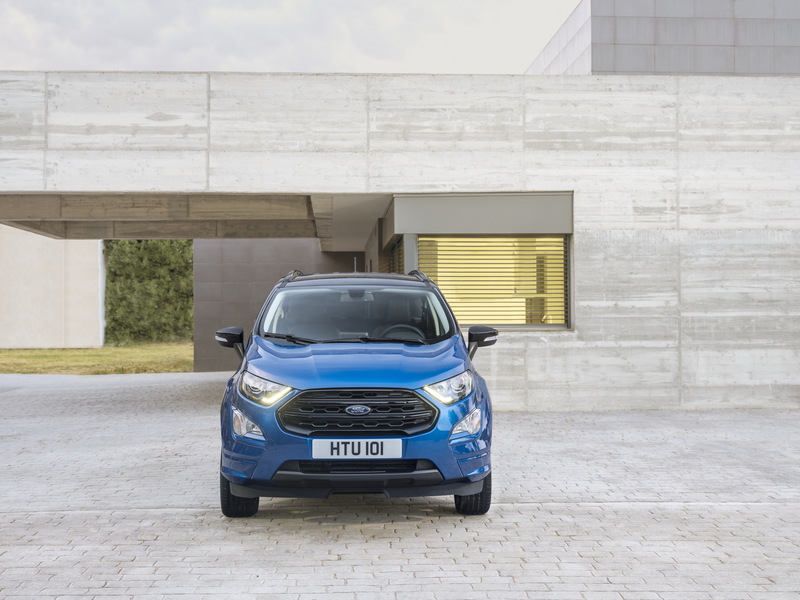 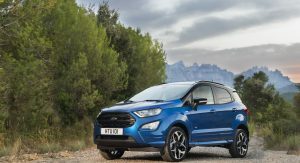 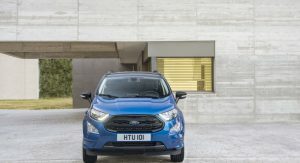 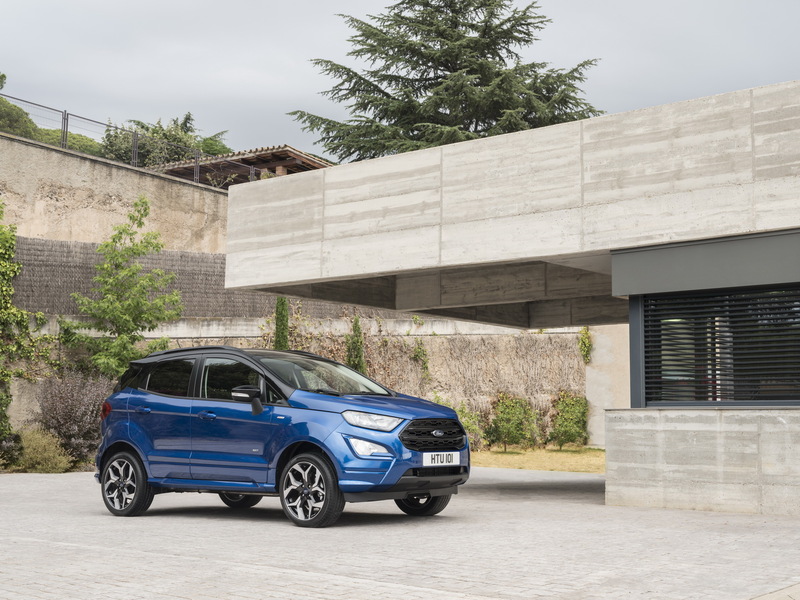 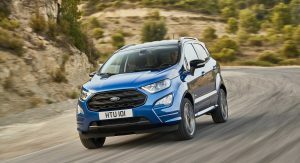 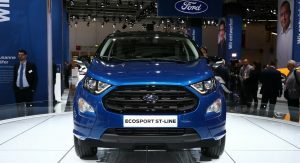 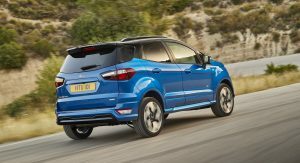 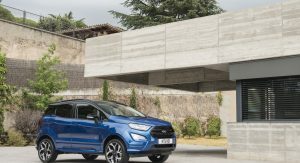 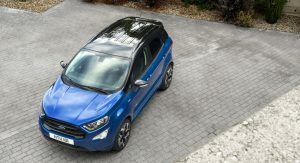 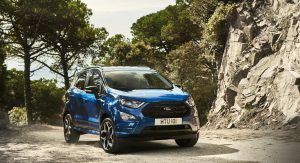 Those interested in the Euro-spec 2018 Ford EcoSport should know that it will become available with a 1.0-liter EcoBoost petrol engine, in three outputs – 100PS (99hp), 125PS (123hp), and 140PS (138hp), and with a 1.5-liter diesel, rated at 100PS (99hp) and 125PS (123hp). 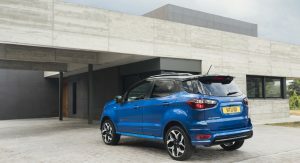 The latter choice is paired to a 6-speed manual gearbox, and comes with an optional all-wheel drive, returning 4.5 l/100 km (62.7 UK mpg / 52.3 US mpg), and emitting 119 g/km of CO2. 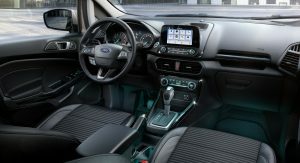 A six-speed automatic transmission is also found on the options list. 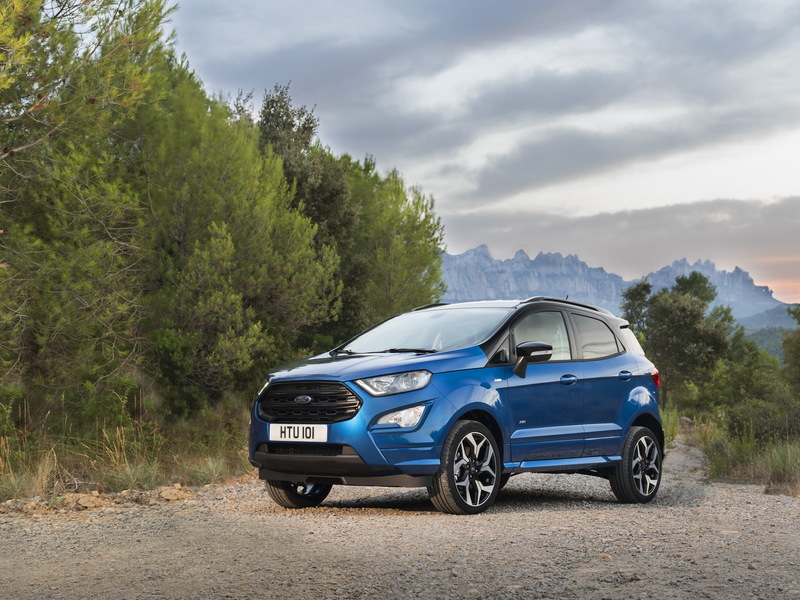 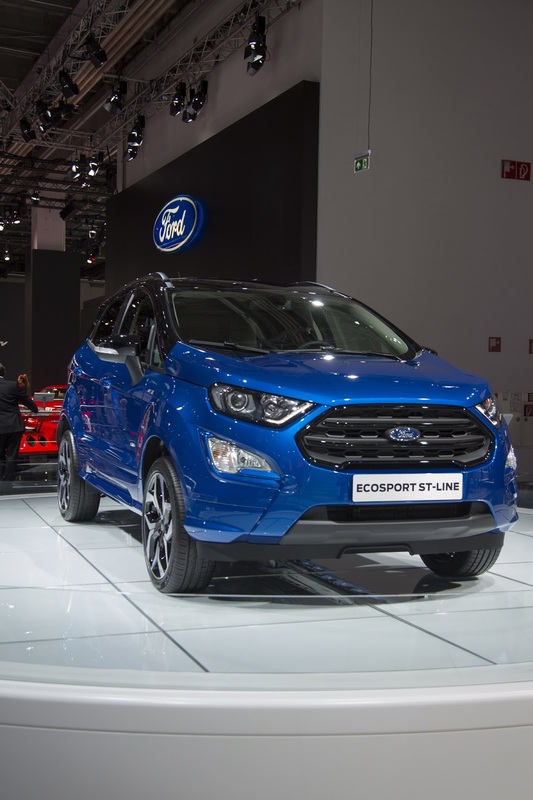 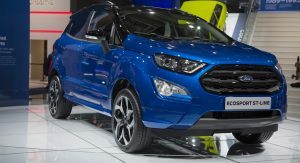 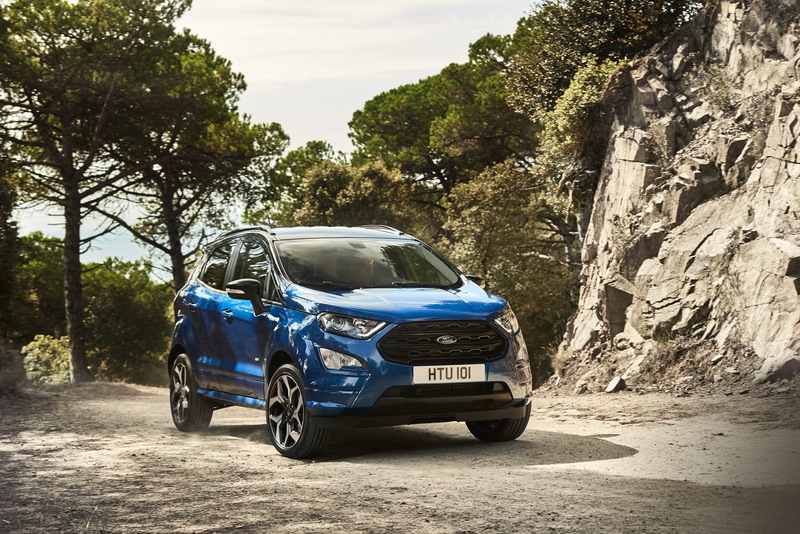 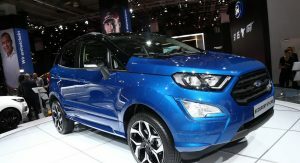 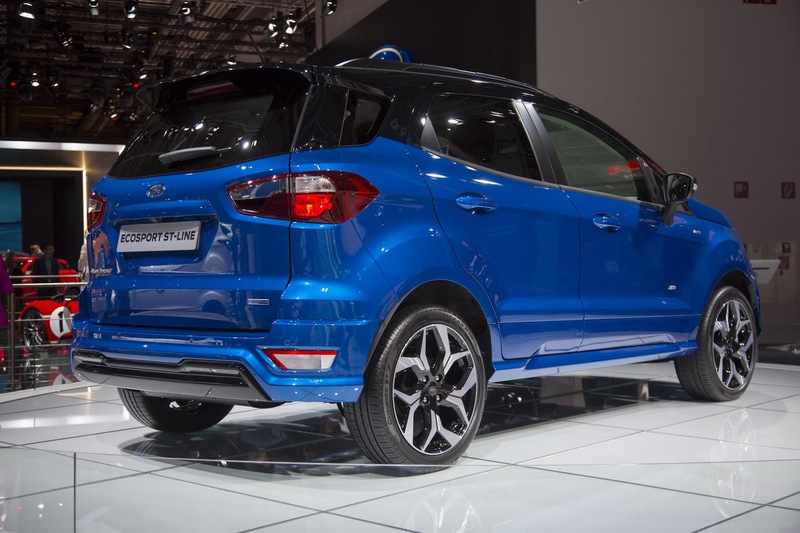 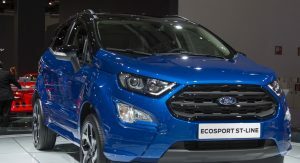 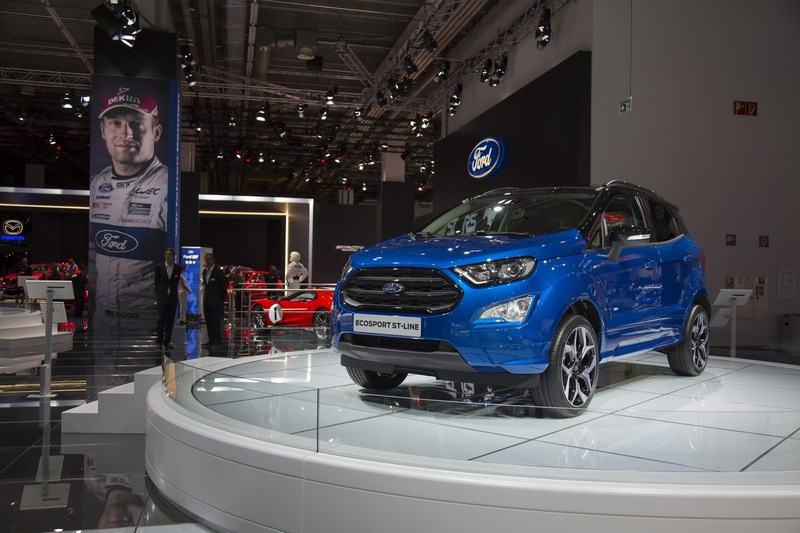 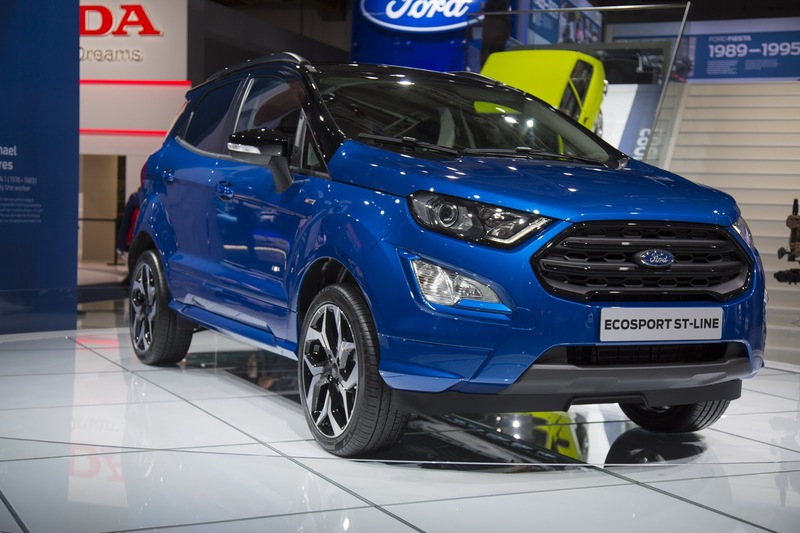 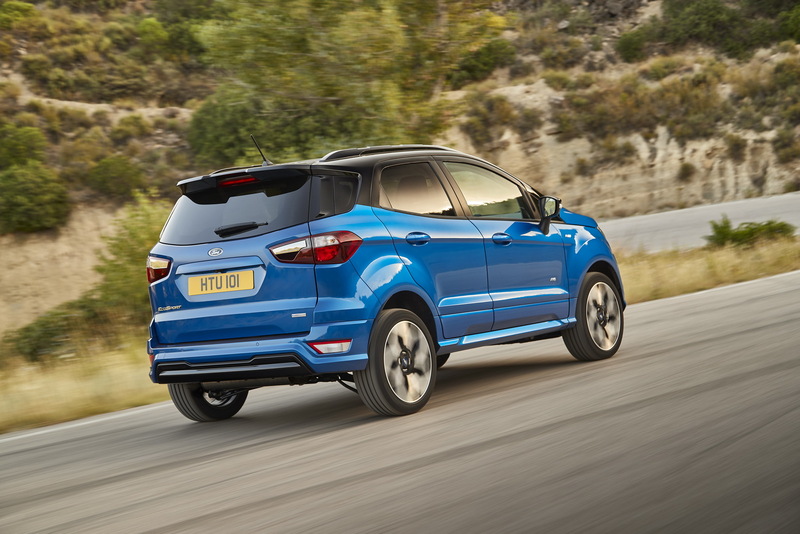 Ford will put the ‘new’ EcoSport in production this fall, at their Craiova, Romania, plant, after retiring the B-Max. 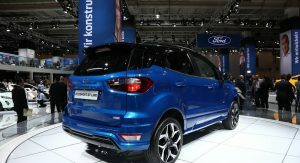 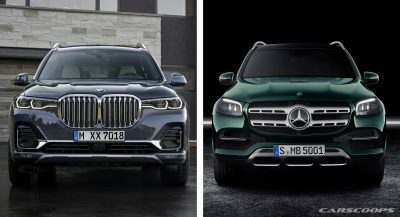 Sales are expected to start by the end of the year, and pricing has yet to be announced. 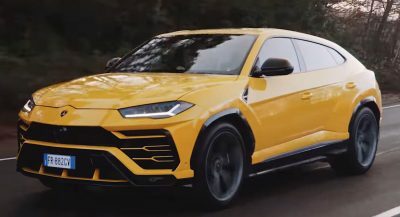 LOOKS LIKE SOMEONE HAD AN EXTRA CAN OF BLACK PAINT AND DECIDED TO GET CREATIVE WITH THE LID. 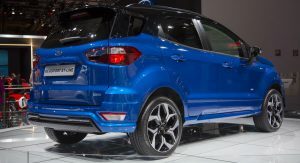 it continues to challenge the Nissan Juke, and others in the subcompact-SUV segment. 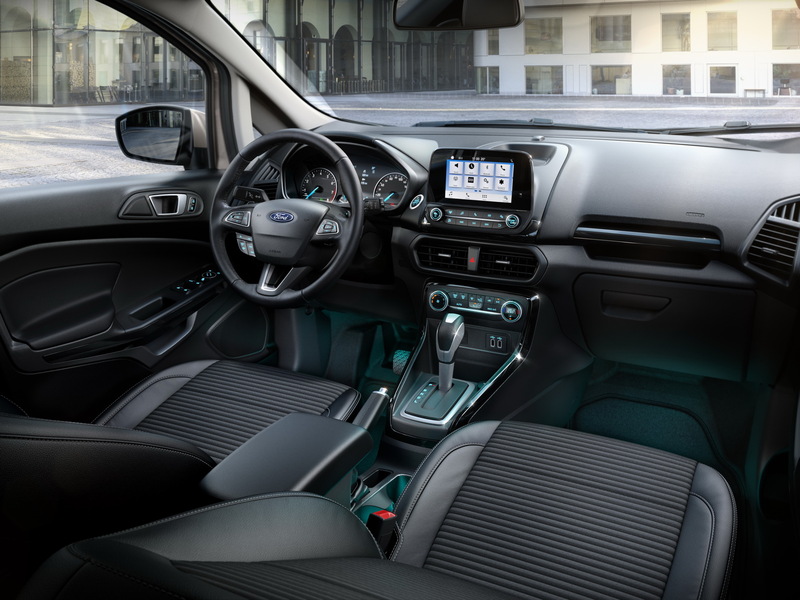 It’s certainly challenging my eyes. 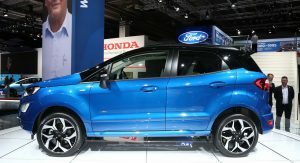 Not ugly at all ! 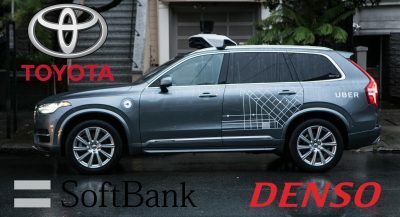 This thing is screaming out for a redesign from the ground up! 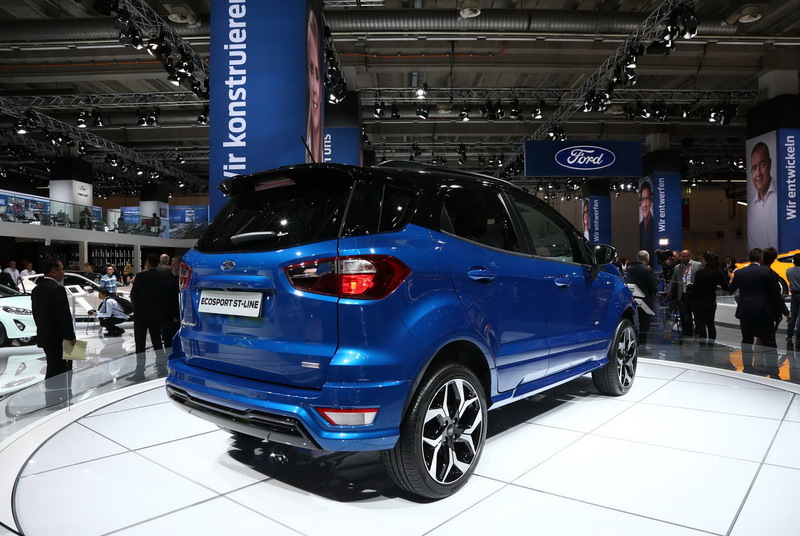 Hurry up Ford because this class of CUV is already overcrowded..